← H_RD Slides are Now Shipping! Newington, N.H. (October 25, 2018) – SIG SAUER, Inc. is proud to announce the Sumter Police Department in Sumter, South Carolina has adopted both the SIG SAUER P320, and the P365 pistols, chambered in 9mm, as their official duty pistols. The Sumter Police Department is a full-service law enforcement agency comprised of seven divisions with 120 sworn officers protecting over 40,000 citizens. “The decision for us to transition from our GLOCK pistols to a complete SIG SAUER system was based on quality, performance, and safety. 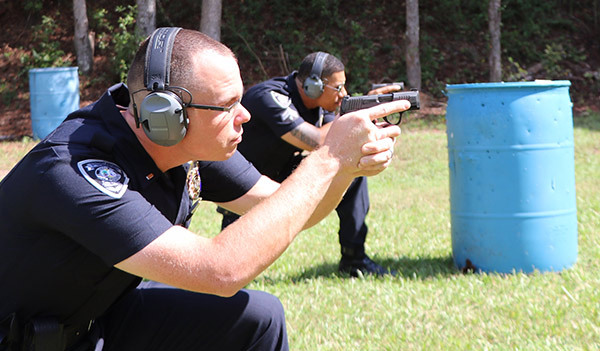 In testing we put the P320 and the P365 through the paces and, quite impressively, they both performed beyond expectations throughout our rugged testing requirements,” said Captain Michael Evans, Support Services, Sumter Police Department. The SIG SAUER P320 is a modular, striker-fired pistol available in full-size, carry, compact, and subcompact sizing. The serialized trigger group makes the P320 adaptable to multiple caliber, size, and grip options. The P320 is available in 9mm, .357SIG, 40S&W, and .45ACP, with a choice of contrast, or SIGLITE Night Sights. The intuitive 3-point takedown requires no trigger pull for disassembly, and safety features include a striker safety, disconnect safety, and optional manual safety. The SIG SAUER P365 is an everyday, concealed carry pistol. This high capacity micro-compact pistol is smaller and lighter than other pistols in its class. It features a high-capacity, patented modified double-stack magazine for a 10+1 full-size capacity, with 12-round factory made magazines available for 13-round capacity. The Sumter Police Department will replace their current issue GLOCK pistols with the SIG SAUER P320 and P365 pistols. Local distributor Lawmen’s Distribution LLC in Columbia, South Carolina will provide product locally. 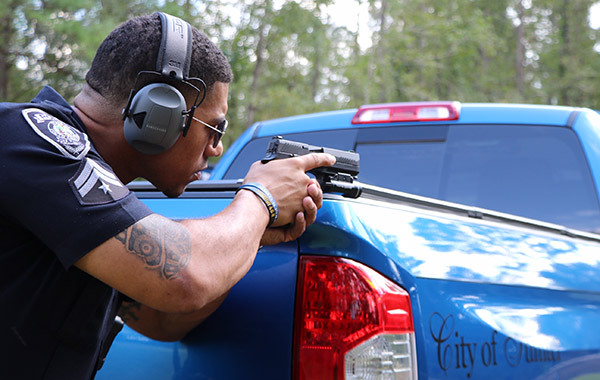 This entry was posted in pistols and tagged P320, P365, SIG SAUER. Bookmark the permalink.